Escondida, the world’s largest copper mine, is targeting a copper production increase from about 940,000 metric tons (mt) in 2016 to 1.2 million mt/y for 10 years following completion of a newly approved, $200 million expansion of its Los Colorados concentrator (one of three concentrators on the property). Escondida is located in northern Chile and is owned 57.5% by BHP Billiton, 30% by Rio Tinto, and 12.5% by two consortiums of Japanese companies. BHP Billiton is the operator. Shareholder approval of the Escondida expansion was reported on July 5 in an article in The Australian Financial Review and was confirmed for E&MJ by a BHP Billiton spokesperson, who said the company’s focus on improved productivity at its copper operations has the potential to release more than 1 million mt/y of latent copper equivalent capacity, including the increase at Escondida, at a total capital cost of less than $1.5 billion. BHP Minerals’ Americas Division President Danny Malchuk told The Australian Financial Review that the concentrator expansion is planned to be up and running by the end of the company’s 2017 financial year, adding that the $200 million price tag is very attractive because a new concentrator of similar capacity would probably cost at least 10 times more. Completion of the concentrator expansion will coincide with completion of the largest seawater desalination plant in the Southern Hemisphere to supply water to Escondida operations. Chile is beset with water shortages and, according to Malchuk, the desalination plant is an example of how new mining projects in the country will not be approved without a solution for providing water. 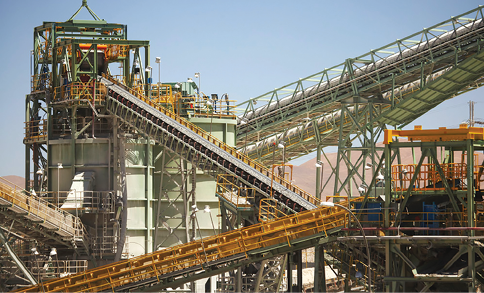 Escondida operations include two open pits and processing plants with capacity to produce about 330,000 mt/y of copper cathodes and 3.5 million mt/y of copper concentrates. The three concentrators have current throughput capacities of 145,000 mt/d at OGP1, 130,000 mt/d at Laguna Seca and 100,000 mt/d at Los Colorados. The Los Colorados expansion project will increase its throughput capacity to about 170,000 mt/d. The BHP Billiton spokesperson contacted by E&MJ said the company’s efforts to release latent capacity at its copper operations also include projects at its Olympic Dam mine in South Australia and at its Spence mine in Chile. At Olympic Dam, potential exists to increase copper production from about 200,000 mt/y currently to 230,000 mt/y over the next five years without major capital investment. An additional increase to 280,000 mt/y could be reached through efficient investment in the operation’s underground Southern mine area. At Spence, about 175 km north of Escondida, a recovery optimization project is targeting full utilization of tank house capacity and optimized annual copper production of 200,000 mt.